Upon entering this town through the "tunnel of trees," one can reminisce back to a simpler time. The hustle and bustle of a growing urban, Sacramento is left behind as we take the short drive south towards the Delta river country. The yawn of Freeport was established in 1862 by the Freeport Railroad Company. Sacramento had established a tax on goods entering the port. Enterprising men of commerce reasoned that they could bypass Sacramento and establish a "free" port just south of town. They then would build a railroad to Folsom and ship their goods, tariff free, around Sacramento. Thus, the town of Freeport became a shipping center and grew rapidly by 1863. Three or four hundred people lived here and the community thrived. The good passings through Freeport were destined to the mines of Northern California. Eventually, the railroad proved a failure and the town decreased to its present size. This serene small town setting is currently becoming a center of Delta recreation. Fishing, boating, cycling, and golf are activities that bring folks to the town today. The Landeros family welcomes you to this friendly little community and we hope that you enjoy your visit. We welcome you to Freeport, "Gateway to the Delta." Freeport Bar & Grill is family owned and operated. The Owners Cathy and James Landeros have had the bar & grill for about 15 years now. James has been in the Restaurant Business his entire life. He brought his wife Cathy on board when he purchased Los Nopales, in Old Sacramento, about 20 years ago. They then went on and bought Sport Corner, also in Old Sacramento. Freeport Bar & Grill came third. Then they acquired the marina, RV park, and other properties located next to the bar & grill as well. They eventually sold Los Noplaes to focus on the Freeport Properties. 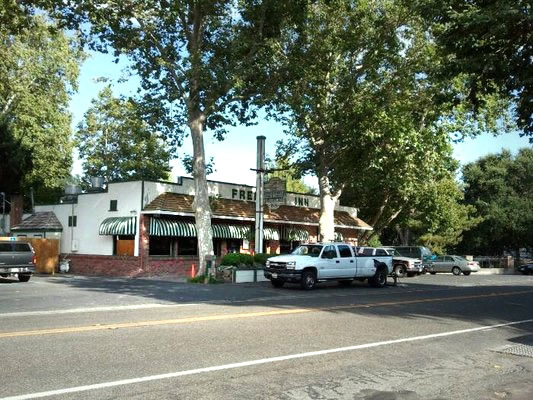 Freeport Bar & Grill located in Sacramento, CA.